After 44 lists, 553 different games, here now the official EZA Top 100 Videogames! I wont dump the whole countdown at once by the way. I'll post two times per day i think (depending on time), to have some room to discuss the games and stuff! Please discuss the rankings in a polite and constructive manner without hating! A fresh approach in the long running Call of Duty franchise with the original developers back behind the wheel, chapter 4 has the player assume the role of a British S.A.S. squad member in various missions over Europe, as well as a U.S. Marine in the Middle East, fighting against an fictive global terrorism driving persona. 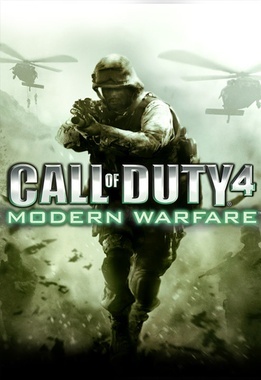 Without breaking the traditions of its heritage, Call of Duty 4 is a true military-based FPS, only this time it has the player fight in a fictive setting and in a modern-day world, against modern enemies and ditto weapons. There are various campaign-based missions that enable the player to take the role of two different soldiers, from two different kinds of military enforcement disciplines. As usual, multiplayer is also available with different game modes. Fallout: New Vegas, like its predecessors, takes place in an alternate timeline where a war over resources sprouts up in the 1950s and ultimately culminates in a nuclear apocalypse. 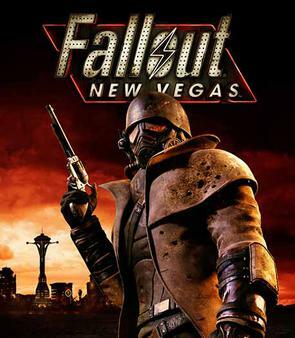 The game is set in the wastes of Nevada, surrounding the city of New Vegas, the successor of the old Las Vegas, a gambling paradise seemingly untouched by nuclear devastation. A war is brewing in this territory between the NCR (New California Republic) and various tribes of raiders, including the Great Khans and Caesar's Legionnaires. The NCR is a group that wishes to preserve ancient weaponry as well as bring law and order to the wastes, no matter at what price. The player takes on the role of a courier who is assigned to deliver a package to the mysterious and enigmatic Mr. House, the owner of New Vegas. However, once the package finds its way to its destination, a man in a checkered shirt and a pair of thugs intercept the courier and begin to dig an open grave. The courier is shot, buried, and left for dead, but is later dug up and brought to a doctor in a nearby town by a robot who saw the events transpire. The protagonist must now find out who tried to kill him/her, and why. Transistor is an action RPG set in the futuristic, sci-fi themed city Cloudbank. The player controls the character Red, a famous singer. She is attacked by the robot force Process led by a group called The Camerata, but the attempt fails and they leave behind Transistor, a greatsword-like weapon that has absorbed the man that was last killed with it. During the game Red is hunted down by the group and gets to wield the sword that has its own personality and acts like a companion. She explores the environment, fighting enemies with a battle system that combines both real-time elements as well as a turn-based planning phase called Turn(). The turn-based approach is only available during battles where a part of the environment is fenced off. During the planning phase different actions can be selected, both movement and attacks, filling up an action bar near the top of the screen. When done they are executed one after the other. It takes some time before the bar is recharged, but meanwhile real-time movement and actions are still possible. Destroyed processes often leave behind cells that need to be picked up or enemies respawn. The areas usually have walls that can be used as cover. Through the battles Red gains experience used to acquire Functions, powers from the Process. These can be equipped as one of four techniques and can also be used to enhance existing techniques. @Exist-2-Inspire, first of all, I want to thank you for this awesome project and the amount of time you have invested in it! I'll get the discussion rolling, at the moment none of my top 30 games have appeared yet, but we already have some impressive entries in this countdown! 100 - COD 4 Modern Warfare: certainly deserves an entry in the Top 100. It is iconic for starting of the Modern Warfare line of blockbuster games, and is very critically acclaimed! 99 - Fallout: New Vegas: I love Fallout 3, but its successor Fallout: New Vegas was most definitely better in some aspects which I consider the most important in these kind of RPG's. It is a more mature and morally challenging game. It can reach your personal feelings in ways Fallout 3 couldn't, but it is also far from perfect, and still very buggy. But hey, it is made by Obsidian Entertainment, one of the best in the RPG bizz :)! 98 - Transistor: I love the style and design of this game, but I haven't played it very much, so at the moment that is all I have to say about it! Maybe some fellow allies can defend this game and it's place on this soon to be epic list ;) ! So happy to see the list finally starting to come alive! Also BIG thank you to @Exist-2-Inspire for doing this project which must take so much time! My hat off to you. So it was 57 points and you get on the list? Sounds like an OK amount of points, cool. Thank you very much for making this, this'll be good. I really like the way each game is presented. I mean the statistics and all, our names there with the given points, the additional info etc. Nicely done. 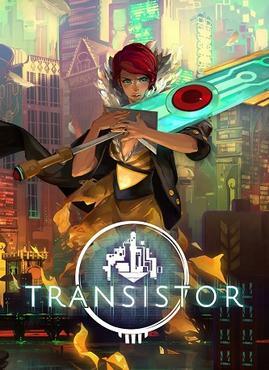 Transistor totally deserves to be on the list and I'm glad it made it, despite not making my personal list. Love me some Transistor! I really enjoy the style of atmospheric world building Supergiant does. I wasn't too big on transistor, I found it to be a bit tiring, and I was kinda glad when I got to the end, but it is definitively a stylish game, and I get why other people would have it on their lists. New Vegas is probably the game my friends pester me the most about, and I really really wanna play it, but whenever I try to, it just looks SOOOOO ugly. I know that I'll probably love it if I get past that, but i haven't been able to do so yet. CoD 4, sure why not, not my thing, but it has its merit for sure. Yeah i couldn't get into Transistor at all, definitely liked Bastion more! I'm now 99% sure that my 30th pick did not make the list. @bard91, you should really try New Vegas, there are a lot of mods out there to improve the graphics, but even in its original form it can't be missed, and the challenging choices you have to make, just play it! Congrats @Exist-2-Inspire for this amazing feat. I haven't played any of these three games, but I see why they made a list. I will probably check out Transistor, though i don't think it's a game for me particularly. I missed New Vegas and I feel no need to catch up to it, especially after fallout 4. Modern Warfare seems to get a lot of love, especially with upcoming remaster. If port turns out to be good, I may jump into it. Damn, so many great shooters coming out this year. Edit: Checked transistor. Didn't impress me enough to get it. 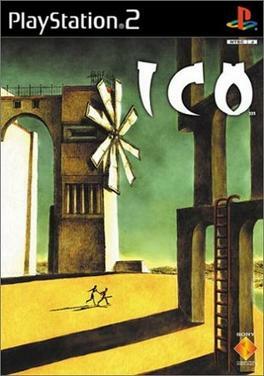 Ico looks like a classic that captured hearts of many. But It has happened before my time and I don't have the console. Definetely worthy to be on a list though. The Wittness is one of the few games of this year I despise. Especially because it got dull toward the end and I was at that point just rushing to finish it. The end itself was extremely disappointing though. Looking back on it now though, it had some really good things about it. Still hate it though. Secret of Mana, again a game before my time. Looking forward to the next pack of games. @TokyoSlim, that goes for a lot of us, certainly if you know the amount of different games we picked, more than 553 :) . @BlazingBahamut yeah, my list is mostly heavy hitters though. I fully expect to see many of them represented. Number 30 was kind of under the radar niche though. Was just curious to see if anyone liked it as much as I did. ..
@Nillend, you should really give New Vegas a try, this was made by Obsidian, it has great morally challenging choices and different factions, and ways to play it, if that is what you appreciate in these kind of games! But I can understand if you are burned out on Fallout as well. Long ago, people lived in harmony with the natural world and used the power of Mana to help their nations grow. But when evil forces took control of the Mana Fortress, seeking to use it to conquer the world, a terrible war began which destroyed much of civilization but brought peace to the world once more. Over the long years, the events of the past became but legends to the new generations of humans. But history repeats itself.One day while exploring a forbidden valley near his village, a young boy finds a rusty sword stuck in a stone. He does not realize that this is the Mana sword of legend, used in the great war of the past. By drawing the sword, the boy unwittingly summons hordes of monsters, and is expelled from his village for breaking the ancient taboo. A mysterious knight Jema who is passing through the area recognizes the sword and gives him instructions for the future. First, he must repair the sword, and then, with its help, take control of the Mana seeds which can be found hidden around the world to prevent them from falling into evil hands. 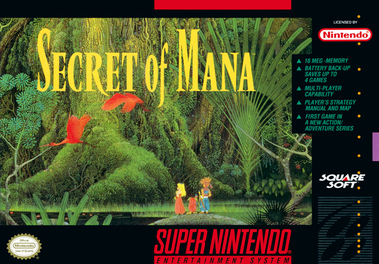 Secret of Mana is an action RPG, featuring real-time hack-and-slash style combat, in which up to two computer-controlled companions can accompany you. The protagonist has a stamina gauge: the more stamina he has, the more powerful his strike is. The player also has access to a growing arsenal of spells with various effects. It is possible to upgrade weapons, armor, and magic to higher levels. The Witness is a first-person adventure game with a strong focus on puzzles and it is set on an abandoned island. It starts with an unnamed protagonist at the end of a tunnel. The exit leads to a large, uninhabited island with various modern structures. Almost immediately the island can be explored entirely and in any direction without restrictions. The small story elements are revealed indirectly, but the main goal is to regain memory and find a way off the island. Clues can often be found through elements in the environment and there are also some audio segments, usually with quotes from very different contexts, that can be found through left behind audio logs. The main focus is the exploration of the island and solving more than 500 puzzles in different forms. No guidance or help is provided and the player has to figure out the mechanics through trial and error, logic or careful observation. The puzzle mode is accessed through a click or button, allowing the character to interact with electronic panels in the environment that usually represent a single puzzle. Most of these puzzles have a maze-like structure with a starting point and an end. A puzzle is solved by connecting start and end in a specific way. This often activates power, through cables, opening up a part of the environment or activating another panel. Through small effects or by following the cables, the effect can be traced. The general concept of the puzzles is largely the same for all of them, but many variants are introduced, such as separating maze items in a certain way, taking into account tetromino shapes, using colours and so on. Ico is a boy with horns. At the age of twelve, when his horns grew large enough, the elders send him away to be sacrificed in order to prevent evil spirits from attacking the village. Entombed in a crumbling ancient castle, Ico only manages to begin his escape when a freak earthquake shakes loose the vessel he has been locked in. Ico shortly meets a princess named Yorda, who has been imprisoned by the evil queen. The two children must explore the ominous castle, trying to find a way to escape, persecuted by the queen's shadow minions. The last CoD I bought, a while ago I gave it away to my CoD crazy friend for a pack of stroop waffles, and I'm sure I had more fun with those. I love Fallout 3 so of course I was very excited... but nope, I can't stand this one, and still tried to play it more as maybe it needed some time, but then I pissed off Caesar, now everytime I leave a building 3 overpowered legionaries attack me, killing me in seconds, I managed to kill them once but like 10 minutes later another batch came after me, that's when I quit. I love this game, as you can see it was my #9, wish the sequel would have been released here as well. Ah yeah, not for me tbh. Yay, glad I helped Secret of Mana make it to the list! Funny, so far I haven't even played any of the others, Transistor and The Witness are definitely in my backlog though! Excited to see the list unfold, thanks again for doing this.